When it comes to saving money, efficiency is the name of the game. When you understand that up to half the energy use in your house can go towards heating cooling Tucson homes, you want to make sure your HVAC unit is working the way it’s designed to operate. A lot of people underestimate how much energy older, inefficient systems waste. We can fix or replace any of your HVAC components at a competitive price, including installing entirely new systems for you. 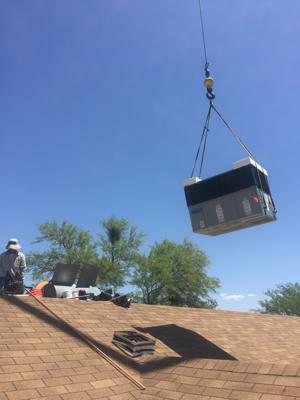 The heat in Tucson is no joke, and we understand how important it is to be able to properly cool your home. Many older homes here in the Old Pueblo were built to make use of evaporative coolers. While they can work great part of the year, they’re often just not enough. 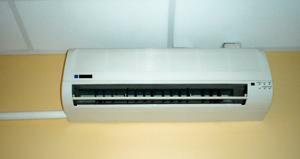 And regardless of whether you have an older swamp cooler or an older AC unit, the truth of the matter is that like anything mechanical, they have a limited lifespan and it’s rare that they last more than 20 years. Even at around 12 years, you may be able to save a considerable amount off your AC bill (usually between 20% and 40%) by going with a newer, higher efficiency model. At some point, you’re going to be facing a major overhaul or a complete replacement of your home’s heating and cooling system. If you do have a swamp cooler and it’s just not cooling enough for you, there are two options to choose from, depending on your preference. One option is to have us remove your old unit and provide a new AC unit. Otherwise, we can leave the existing cooler and we can duct in the AC for you so that you will have a dual cooling system. If your old air conditioner stops working and you're looking for a professional company to check out your HVAC system or to provide top quality AC repair, we have your back. We can come and pull out the old equipment and replace it with a brand new air conditioning unit so you can (literally) rest easy. Uneven cooling in your home can become an aggravating situation… trying to get one room comfortably cool can sometimes mean another is way colder than it needs to be. Have you converted a garage into an office or game room? Maybe there is an addition to the house or that one area that is a hot box? Instead of cranking the AC, and having the rest of the house be an ice box, there is another solution. A Mini Split is a ductless AC system that works beautifully in these situations, and we install them for happy customers all the time. The head unit mounts onto an interior or exterior wall and a condenser is outside on a pad. This eliminates the need to rip up any walls to add on ductwork in order to bring cool air to the area. An extra bonus is that you can even get multi-zone splits. This enables you to control the temperature in 2 or 3 separate rooms. This is a good option for small, older homes, such as those around downtown Tucson. These homes typically just do not have room for a full-sized unit. When you consider how incredibly hot it can be in the summer, it is imperative to have your home be comfortably livable in all the rooms. This system will also help save on energy costs and lower your bills. It makes sense why these are such popular items to have installed. 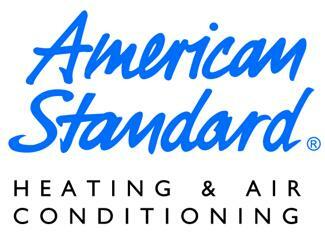 We settle for nothing less than high-quality products and service when it comes to taking care of your HVAC needs. It is important to us that the longevity and efficiency of your units are beneficial to both you and the earth. The fewer resources used the better. If you haven't yet heard about Sunstate Power and Solar when it comes to Tucson air conditioning repairs and maintenance, it could be because we are also referred to as Sunstate Comfort Solutions. No matter what name you know us by, you'll get the same great service from us! And don't just take it from us... have a look around our site and you'll find all kinds of positive reviews from real customers right here in Tucson and southern Arizona. In fact, we encourage all of our customers to leave testimonials right here on our site by following link in our footer under "feedback". So contact us today to schedule your free estimate or with any additional questions you may have. Honesty that you can respect! My experience with Sunstate has been very good. Trevor came to give me a second bid on a compressor repair for my air conditioner because I thought the initial quote I got was too high. He took a look and told me that not only was the original quote fair, but that I could feed confident in the company (a direct competitor) that quoted it. Now THAT is honesty that I respect! So while I didn't hire Sunstate that day, I have since called them several times and they have always delivered excellent work at a fair price.